Casa Luna’s CBD chocolate bars are every bit as unique and delicious as they sound. With 14 tasty flavors to choose from, a powerful CBD punch and a host of health benefits on offer, these CBD-infused chocolate bars will lift you up and keep you going even during the busiest days – all by the power of nature. 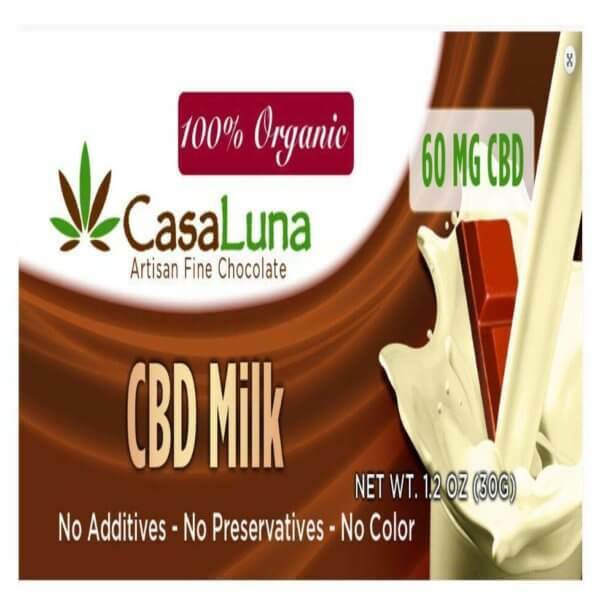 Casa Luna 100% organic CBD oil chocolate bars are among the most unique CBD products in the market today. They are handcrafted in small batches from bean to bar to ensure exquisite taste, perfect consistency and potent wellnss benefits from CBD. Casa Luna offers 14 different varieties of CBD edibles, each packing a different flavor and recipe. All of Casa Luna’s CBD chocolates contain cocoa beans that have been organically farmed and harvested with meticulous care. The standard Casa Luna CBD chocolate varieties contain pure organic sugar, while the sugar-free (zero glycemic index) varieties contain Monk Fruit Extract as an organic sweetening alternative. The 14 combinations of chocolate and CBD concentrations are: dark, dark with almonds, vegan dark, Goji berries, Maca Powder, Milk, Milk with pretzel and sea salt, pomegranate, soursop, sugar free, extra-strong CBD dark, extra-strong CBD milk, extra-strong CBD soursop and extra-strong CBD sugar-free. All of Casa Luna’s CBD oil chocolates are 100% organic and Kosher, while the vegan varieties use clever recipes to offer the full flavor using only vegan ingredients. There is no vanilla, lecithin or other artificial additives -; just pure natural chocolatey awesomeness. These delicious CBD edibles are manufactured in accordance with a strict code of conduct to ensure unremitting quality standards and full compliance with all state and federal regulations. During the production of Casa Luna’s CBD chocolate, the cocoa beans’ distinctive flavor is preserved by carefully controlling the chocolate making process from harvesting the bean to putting the final seal on each bar. The cocoa is typically grown on small, family-owned plots of land and harvested by hand. There, organically-farmed cocoa trees grow up to 12 to 15 meters high and have their first flowering after 3 to 4 years. After harvesting, the plants are fermented and then dried so the beans can be gently extracted. Then, the beans are sorted for quality, cleaned and roasted to bring out that distinct chocolate flavor we all know and love. After roasting, the beans are crushed and the shell fragments carefully separated from the tasty nibs. Finally, the nibs are ground into the delicious mass of cocoa that goes into each Casa Luna CBD chocolate bar. Why Choose CBD Chocolate Bars? If you are looking for a tasty, discreet and convenient way to enjoy CBD, then Casa Luna’s CBD chocolate bars will delight you with their exquisite flavors and potent CBD concentration. With 20 mg in the regular 50 g bar and 60 mg in the super-concentrated 30 g bar, these Casa Luna CBD edibles pack a decent concentration of CBD along with a host of organic ingredients that imbue each bar with wellness improving effects. As these CBD edibles come in solid bar form with CBD spread uniformly across each, you can actually measure how much CBD you take in with each bite. This allows you to adjust your serving size by eating more or fewer segments of each delicious bar. Casa Luna’s CBD oil chocolates are perfect for combining with almost any other CBD product – including tinctures, which you can drop into your beverage and enjoy alongside your CBD-enriched snack. 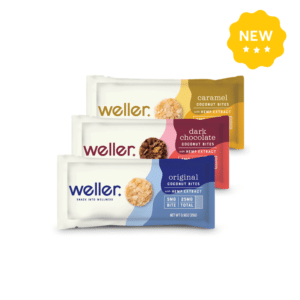 Each bar is sealed in handy packaging, making it easy to carry around and nibble at whenever you feel like it. This is one of the most portable and discreet CBD products that you can enjoy anywhere, anytime. Each segment of these artisan fine chocolates packs a respectable content of CBD – just enough for you to start enjoying its properties. With 14 different varieties to choose from and a delicious promise hiding in each bite, Casa Luna’s CBD chocolate will delight even the most demanding CBD connoisseurs. You can relish the pure choc flavor of a dark CBD chocolate, live it up with the milk chocolate variant, try your CBD with some exotic soursop or enjoy concentrated CBD earthy delight with a 60 mg bar. The dark CBD chocolate bar has 70% pure cocoa content while the sugar-free variant has ZERO glycemic index, making it ideal for people on a diet, as well as diabetes sufferers who wish to enjoy a tasty choc rush of CBD. As we’ve seen before, each chocolate offers a well determined serving size of CBD and, depending on the variant, a number of additional organic ingredients as well. CBD is considered by many as the most significant cannabinoid for improved wellness and better overall well-being. CBD is completely safe, with no side-effects and absolutely no psychoactive properties, making it legal to purchase and consume in all 50 states and more than 40 countries worldwide. 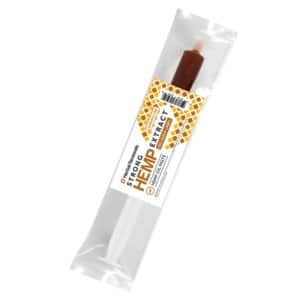 The CBD in Casa Luna’s CBD oil chocolates comes exclusively from a hemp oil paste made from the stem and stalks of industrial varieties of the hemp plant. As industrial hemp has virtually zero THC and high quantities of CBD, the end product is a safe and powerfully effective hemp oil paste with high CBD concentration. As with all CBD oil edibles, using Casa Luna’s CBD chocolate bars is as easy as it sounds. Just break off a segment and eat it. You can let the chocolate melt in your mouth to savor the delicious taste, but it makes no real difference to the actual result, in terms of CBD efficiency and immediacy of action. Casa Luna suggests that you start by consuming half a segment until you find the perfect serving size for you. After you’ve enjoyed your half segment, they suggest you wait for an hour before eating another portion. Since CBD has no side effects and there is no “maximum serving size,” you can safely adjust the it depending on your metabolism and find the sweet spot for your body. As with most CBD products, we recommend consistent use of Casa Luna’s CBD chocolate bars for two weeks to allow your body to adjust to the beneficial properties of CBD, if you are new to cannabidiol products. Casa Luna’s CBD oil edibles are chocolate bars and should be stored away from sunlight, heat and humidity. If they melt, Casa Luna CBD chocolates are still edible and completely safe, but it is better to store them in a cool place to preserve their fine taste and consistency. Storing the chocolate in a refrigerator might cause small, white-ish granules to form on its surface. These granules are cocoa oil that seeps out of the cacao mass as chocolate is cooled. This is completely normal and does not affect the product’s taste or quality in any way. As with all CBD-infused products, consult your medical doctor before eating Casa Luna’s CBD chocolate bars if pregnant or lactating. Unfortunately, due to regulations for CBD in the country we had to suspend our shipments to Canada. Have a question about our shipping policies? This page will give you everything you need to know. Look below to see the answers to our most frequently asked questions about shipping. Yes, we ship our hemp products globally! 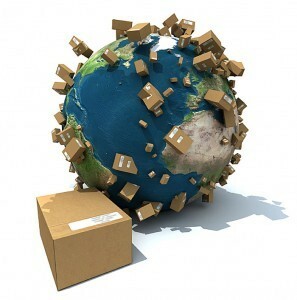 Our products have shipped to over 40 countries worldwide and we even ship daily to places like Australia and the UK. Please check our list of "Countries We Ship To" here. We ship orders from our warehouse Monday through Friday from 9am-4pm (Eastern Time). Orders placed on our website will ship out the next business day. 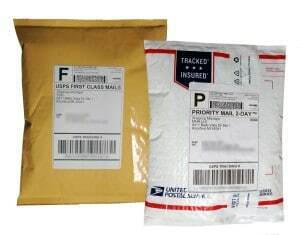 Products are sent through the United States Postal Service. Once an order is placed you will be sent tracking information, so you can follow your purchase all the way to your doorstep. Some work-place drug screens and tests detect THC and not the presence of Cannabinoids or other legal hemp based constituents. However, studies have shown that ingesting hemp can cause confirmed positive results. Based on this information, if you are subject to any form of drug screening or testing or are a member of the United States Armed Services, we cannot recommend that you ingest this product. Please consult with your healthcare practitioner as well as your employer or drug screening company. 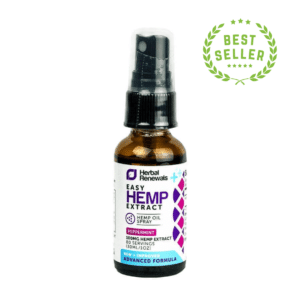 Try our premium line of Hemp Oil products for a full 90 days, 100% Risk-Free. If you don’t LOVE it, I insist that you get 100% of your money back. I’ll even eat the credit-card processing fees. I’m offering this unbeatable guarantee because I truly want this to be a risk-free option for you. Try it. If you don’t love it, just email me at ANY TIME during the first 90 days and I’ll refund 100% of the price. ***Note: Refund Policy Does Not Apply to Bulk Orders. You may return any item EXCEPT bulk items for a refund of the original purchase price. Bulk items include: 10g tubes of Herbal Renewals (Blue, Green, Gold), 6-packs of Herbal Renewals Tubes (Blue, Green, Gold) Label, 7-packs of the Tasty Hemp Oil CBD Vape Oil, and any single product type ordered with a quantity of 3 or more. We hate to limit our refund policy in any way, but these bulk items are not “starter” orders and we assume that customers are well familiar with hemp oil and its constituents before purchasing them. We reserve the right to make exceptions to this policy if we feel it is being abused.How to Make a Return: To return an item, simply email me at [email protected] or call 1-844-HEMPOIL (436-7645) to start the return/refund process. Credit card orders will be refunded to the card used for your most recent purchase of each specific item. Returns must be received within 10 days of pre-paid shipping return label request or within 90 days of original product order date, whichever is first. If you have any questions about our return policy or about a specific return, please contact us. What will my package look like? Do you offer discreet packaging? 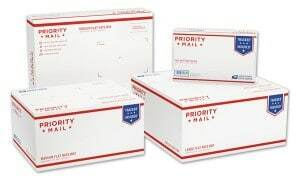 While all of our products are 100% legal in the US and many countries abroad, we do send all of our orders in discreet packaging (see below for examples).Most packages will come in the brown cushioned envelope below, while Priority Mail (Regular and Express) will come in the red and white envelopes and boxes depending on the size of your order.